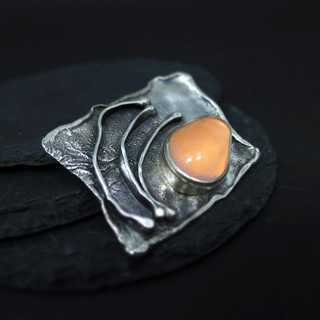 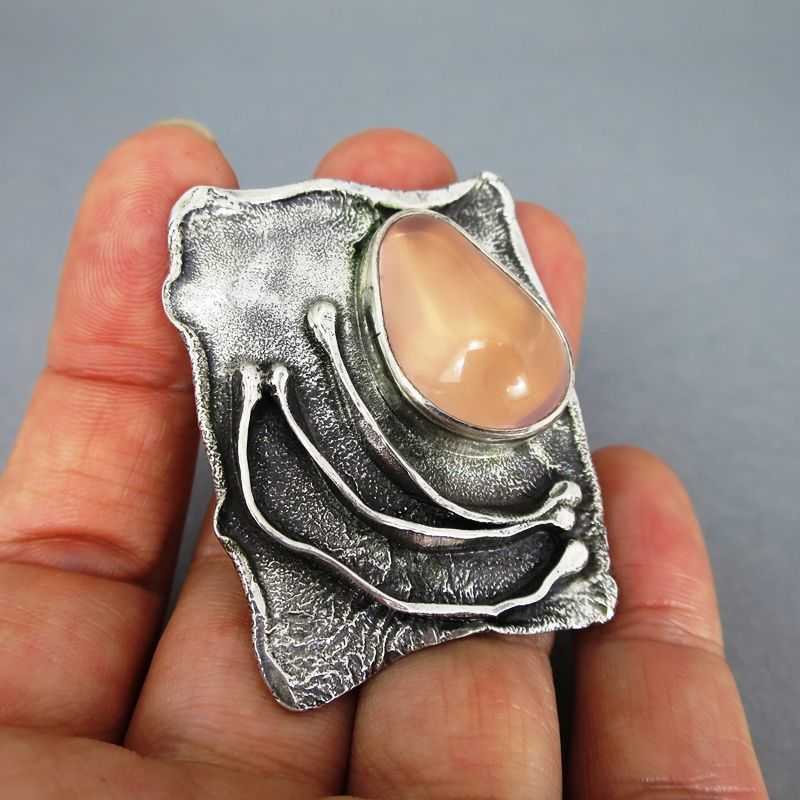 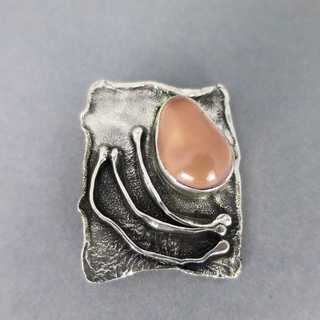 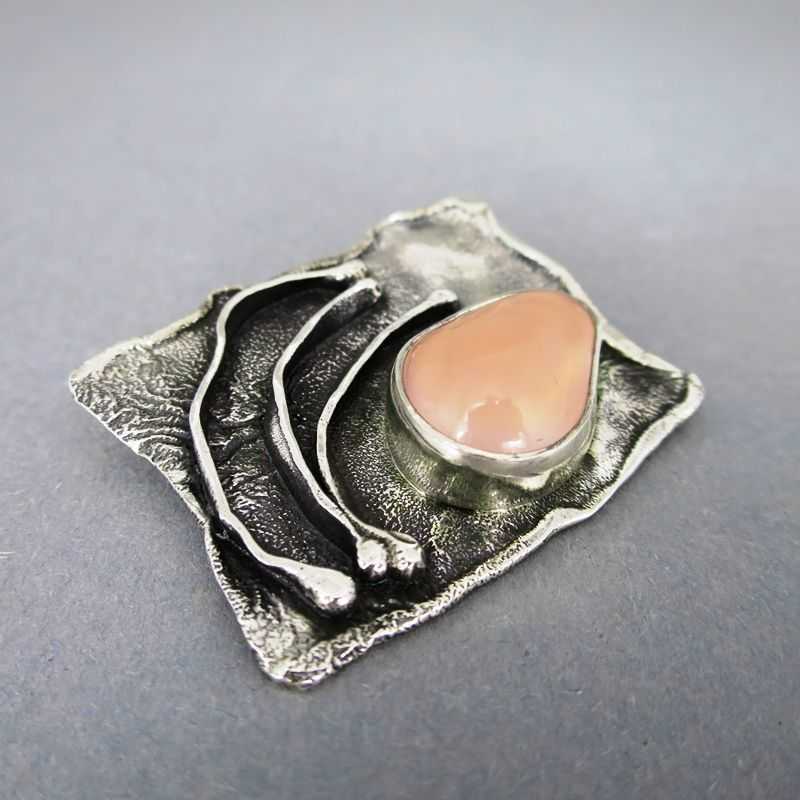 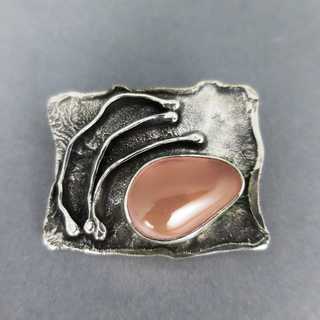 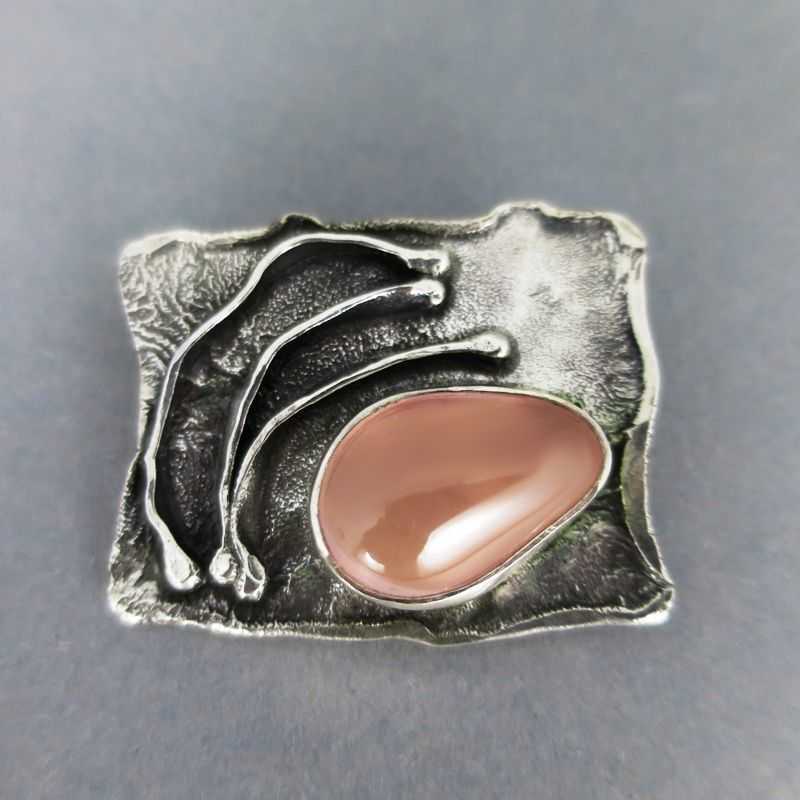 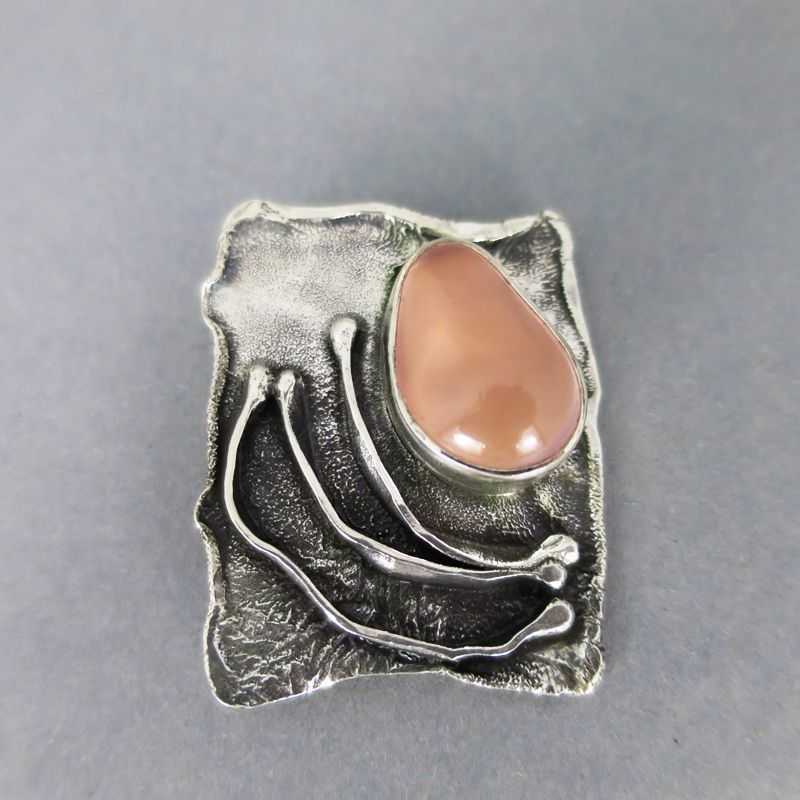 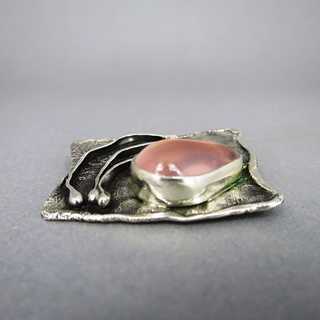 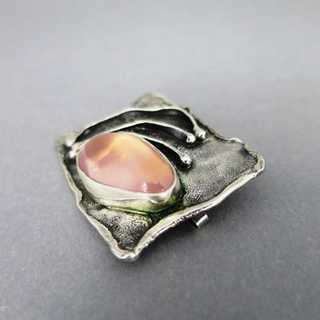 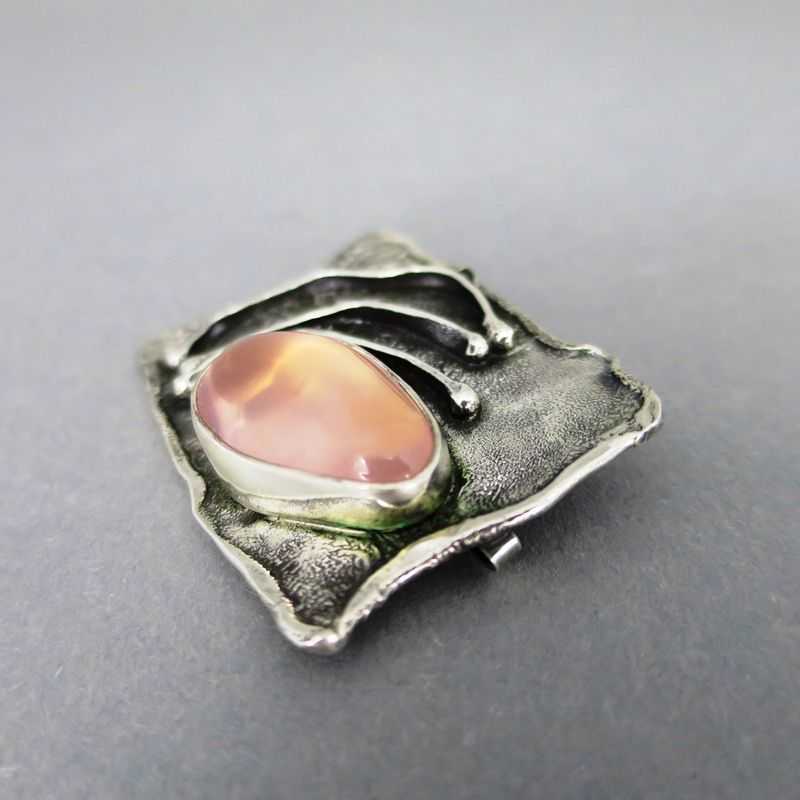 Unique handmade brooch with rose quartz, which can be also worn as a pendant. 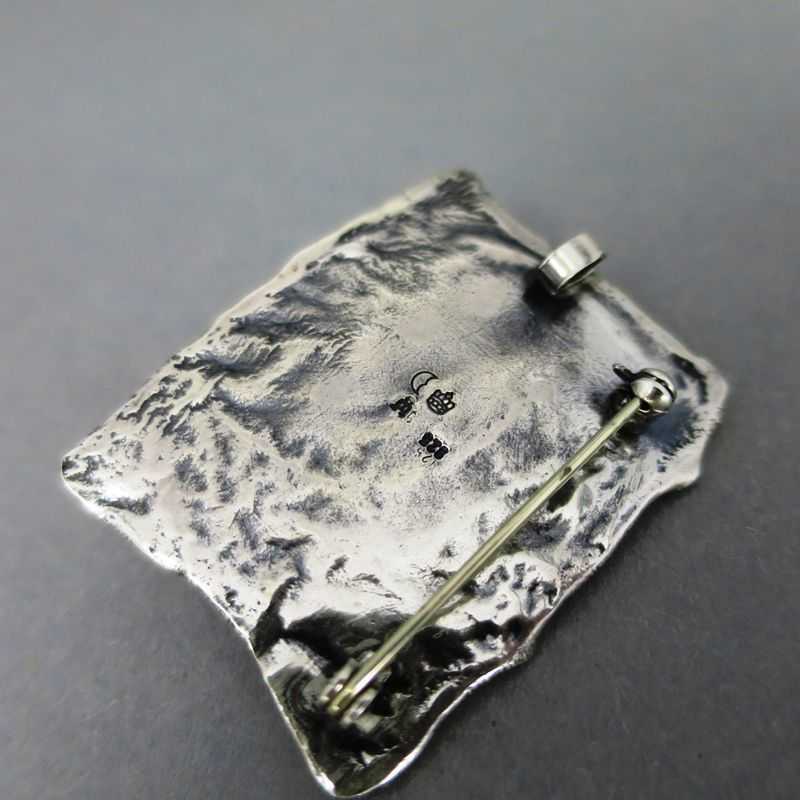 Rectangular shape with irregular rim, structured and oxidized surface, decorated with three silver bars and a pear-shaped cabochon from rose quartz in bezel setting. 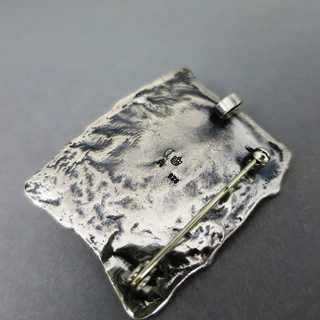 Back side with needle closure and a big chain loop. 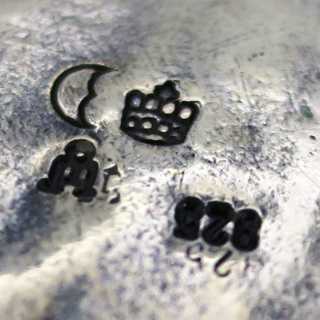 Marked with a mark of an unknown silversmith, Germany, 1970s/1980s.